Christoph Waltz’s Oscar Spurs Debate: Austrian or German? - Oh No They Didn't! 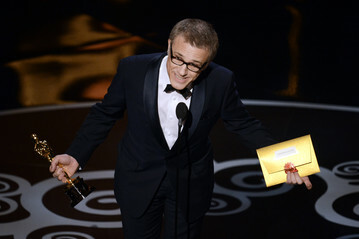 Christoph Waltz’s Oscar Spurs Debate: Austrian or German? FRANKFURT – Christoph Waltz’s second Academy Award has once again launched a very serious debate in Europe – is he Austrian or German? The debate concerning Mr. Waltz stems from a long, contentious history in which Austria and Germany argue over which famous German-speaking figures belong to which country, the borders of which have historically often been blurred. For example, Austria tries to lay claim to Ludwig van Beethoven – born in Bonn, Germany, but who arguably came into musical greatness in Austria. Germans cling to the fact that Adolf Hitler was Austrian. Mr. Waltz’s father had German citizenship, as does he. But he was born and grew up in Vienna, and the country quickly moved to offer him Austrian citizenship after his first Oscar win in 2010. He now holds both German and Austrian passports. “I was born in Vienna, I grew up in Vienna, I went to school in Vienna, I took my university entrance exams in Vienna, I studied in Vienna, I began my professional career in Vienna, I had my first theater role in Vienna, I filmed for the first time in Vienna, and there are a few more Vienna specifics. How much more Austrian could you be?” Mr. Waltz has said, according to Austria’s ORF broadcaster. Mr. Waltz was not immediately available for comment Monday. The German media politely labeled him “German-Austrian” in their coverage of his win Monday, while the Austrian media celebrated the dual wins of their Austrians – Mr. Waltz and the success of director Michael Haneke for his foreign film prize for “Amour.” Austrian politicians issued congratulatory press statements, seemingly reveling in Mr. Waltz’s now official status. Mr. Waltz weighed in on the cultural differences between the two nations on Conan O’Brien’s talk show in 2011, with the edge going to Austria. He said Austrians tend to be polite without meaning it; Germans are more direct and confrontational. “The difference between Austrians and Germans is like the difference between a battleship and a waltz,” Mr. Waltz said. Mr. O’Brien asked about the cliché that Germans have no sense of humor. “That’s not a cliché,” said Mr. Waltz, smiling. Christoph Waltz took home the Academy Award for Best Supporting Actor at this year's Oscars for his role as a dentist-turned-bounty-hunter in Django Unchained. But prior to becoming the charming, Oscar-snagging performer he is today — Waltz won the same award in 2009 for Inglorious Basterds — the Austrian actor dabbled in song. The video above, taken from a 1977 episode of the Austrian children's show At the Dam, shows a 21-year-old Waltz's more theatrical (and undeniably fashionable) side of performing. Striped leotard aside, he's still pretty charming. yeah i think a lot of germany's problem stems from the fact that so many people can count the POC they've really known or formed friendships with on one hand. it's not an excuse, but it makes it very difficult and intractable a problem. it's def uncomfortable but i think when more people call out the ignorance of others at the expense of their own cool factor or whatever, it's the only way to help change the mindset. so good for you for calling it out.